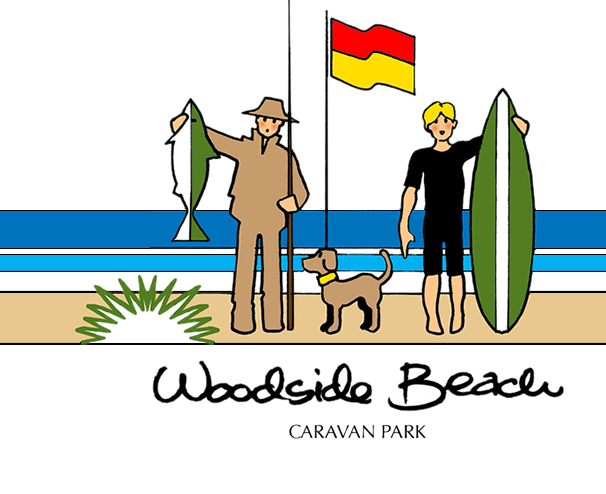 Welcome to Woodside beach Caravan Park nestled in the dunes of Gippsland’s magnificent Ninety Mile Beach. If you’re after fishing, swimming, walking on the beach or just plain doing nothing, we are the place you’re looking for. Situated on 20 acres, running a kilometer behind the dunes we are a pet friendly park offering five fully self-contained cabins starting at $80 a night, with both powered, unpowered and annual on-site caravans. Surrounded by farmland and bushland, why not bring your bicycle, motorbike or horse and take advantage of the many tracks set out in nearby coastal woodlands and reserves. If adventuring a bit further afield is more your thing then there is Tara Bulga National Park, Hiawatha falls, Agnes River Water falls and the township of Yarram and historic Port Albert to explore. So come down and visit us, and fish, swim or surf, and enjoy the sounds of the ocean murmering away whilst you camp.